Comprehensive multi-mineral formula without copper and iron. 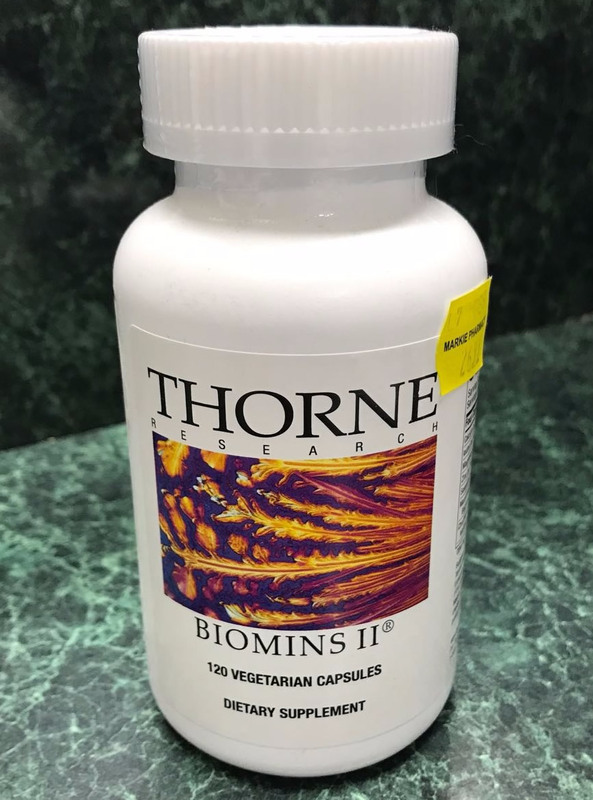 Biomins II is for individuals at high risk for mineral deficiencies, but who do not require copper or iron. It contains well-researched trace minerals. A complete mineral formula of highly absorbable mineral chelates* without copper and iron – now with selenomethionine! Many companies provide minerals that are chelated, or bound to, whole proteins or peptides from potentially allergenic substances like soy, calling them amino acid chelates. 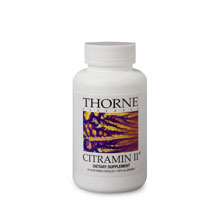 Thorne Research’s individual minerals are chelated to amino acids or organic acids via a molecular reaction that provides a predictable, high quality, hypoallergenic chelate. Individuals at high risk for mineral deficiencies include the elderly due to deteriorating digestion, children and teenagers because of poor diet, individuals with eating disorders, and those suffering from chronic diseases. Certain prescription medications can also result in mineral deficiencies. The amount of minerals in fruits and vegetables depends on the soil they are grown in; therefore, even healthy individuals who maintain a good diet can be at risk for mineral deficiencies because of mineral-depleted soil. 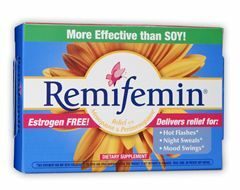 Other Ingredients: Hypromellose (derived from cellulose) capsule, Microcrystalline Cellulose, Medium Chain Triglyceride Oil. †This product uses DimaCal® DiCalcium Malate. DimaCal is a registered trademark of of Albion International, Inc.
††This product uses Albion’s DiMagnesium Malate. Albion is a registered trademark of Albion International, Inc.
†††This product uses Albion’s TRAACS® Zinc Bisglycinate chelate, Manganese Bisglycinate chelate, Chromium Nicotinate Glycinate chelate, and Molybdenum Glycinate chelate. TRAACS is a registered trademark of Albion International, Inc.
††††This product uses Albion’s Bororganic™ Boron Glycinate Complex. Bororganic is a trademark of Albion International, Inc.
Be the first to review “Thorne Biomins II” Click here to cancel reply.